Pitch Black cymbals were specifically designed to be coated, and played loud! Zildjian started with high-performance Bronze 12 alloy with its enhanced tin content, then added weights, sizes, and profiles guaranteed to deliver the brightness and presence required for rock applications. 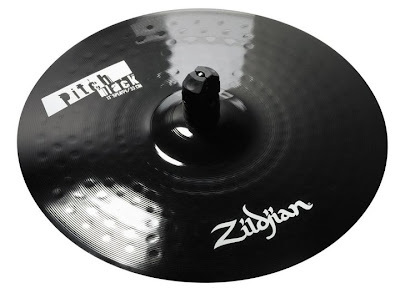 Zildjian has developed a proprietary coating process that makes the cymbal durable and strikingly beautiful yet still able to open up like a cymbal should. Zldjian K CUSTOM HYBRID RIDE 20"